... SO STUPID!!! I had to turn on my comment moderation because I have spent HOURSSSSS deleting spam from some fake blogger account that is posting some sort of foreign language in my comments. Its like a Muslim or Hebrew kind of writing. Not English. Far from it. Not even letters of any form. But its been a comment on every blog post I've done ... over 500 posts. So I'm not only getting them in my email, I'm getting them on blogger. When I pulled up my email & saw I had over 700 unread emails, I knew something was up. RIDICULOUS. What is wrong with people? ... hopefully this will stop them from posting the comments here & I can turn it off down the road. ... I honestly just bought a shirt to wear to our State Fair. I get so sickened walking through there to see all the animals they have for judging knowing that most of them are getting carted off to slaughter. I just cant handle it. So if I'm going to the Fair this year, at least I'll 'voice' my opinion on that the best way I can. ... 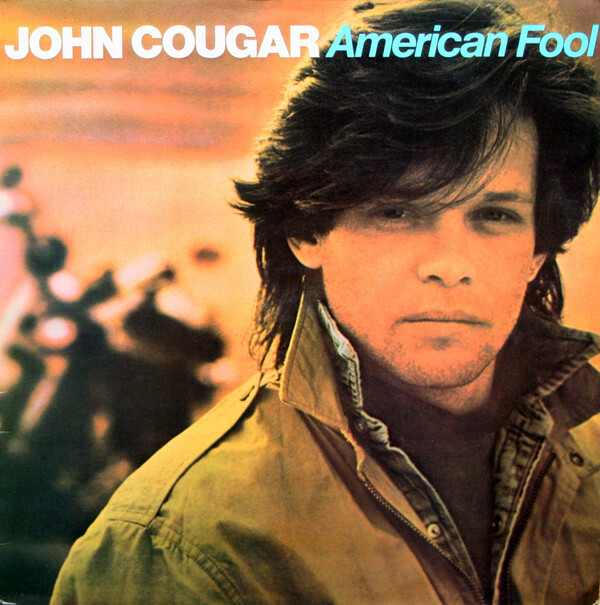 I had a dream I saw John Cougar Mellencamp performing in a mall & no one even cared. I kept trying to tell everyone, "IT'S JOHN COUGAR!!!" & everyone was like, "huh?... whose that?"... I've never been a huge John Cougar Mellencamp fan my whole life either. So weird. ... EVERY TIME... EVERY.STINKING.TIME I go to get ice out of the work freezer, I drop an ice cube on the ground. EVERY STUPID TIME!!! Even when I try to be extra careful. Its like a hex. ... My Garmin died on me this past weekend & I legit have been in PANIC MODE ever since. I loved this one because you dont have to recharge it. Its only labeled as lasting a year (& I had bought it on like Amazon Prime day for like $35) & do you know this thing nearly lasted me 3 years!!! & now I'm lost without it. It's like a part of my body is missing. 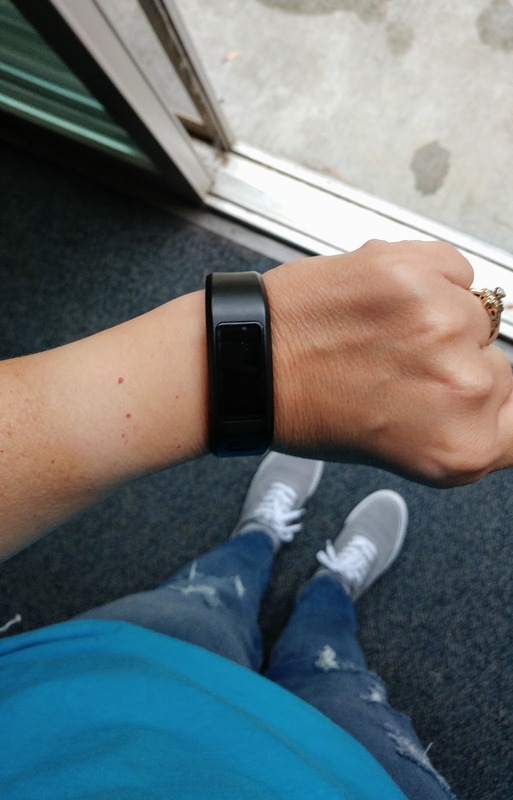 ... which on the back of that last confession - I'm going crazy trying to find what new tracker to get. SO.MANY.OPTIONS!!!!! I just know I have to pick something this weekend because I'm tired of looking down at my bare wrist - which I've done at least 923 times since Sunday. ... anyone else so sad about Chris Pratt & Anna Farris? Anything you need to confess? I care about John Couger Mellencamp! Really, I do! I HAVE to drop an ice cube for our schnauzer, Zack. He is the most ice-eating dog I've ever seen! Nooo! I didn't know about Anna Faris and Chris Pratt ... I'm sad, but nothing surprises me anymore. I'm dreading the day my FitBit dies and I have to select something new. Ugh I'm so sorry. How annoying! Ugh, that's so annoying about the comments! That's impressive you got three years out of the last tracker when it was marketed as being for only one year. I use wordpress and we have a plug in to control the nasty spam. Otherwise, I would have about 200 in my email every day too. Where do they come from I have no clue! So annoying! Hopefully it gets straightened out for you. I always drop ice on the floor at work too! What is the deal??? And umm....I dont ever care about any of the bachelors or bachelorettes haha. I care about JCM too! And sad about Chris and Anna!! So sorry you're dealing with that comment thingy!! Spammers are just jerks, sorry to hear about them on your blog. I cannot believe Anna and Chris broke up. They were so cute together. I think she is adorable. And their son is so cute. I hope they remain friends at least for their son's sake. Haha that's funny about the John Cougar Mellencamp dream. Isn't it weird what we dream about somedays? speaking of Bachelorette... one of the guys from season 7 was the bartender at my family reunion this past weekend LOL!! 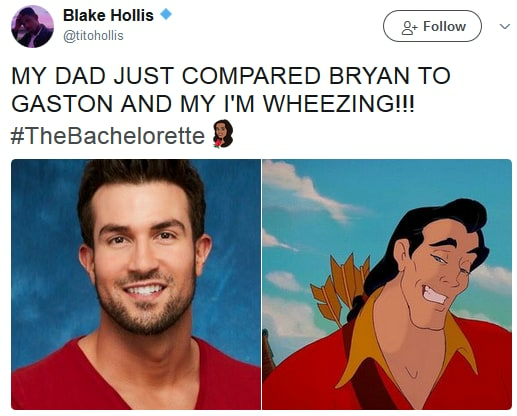 I don't watch the Bachelorette but there was so much "buzz" after she picked someone not named Peter that I had to check out an article or two. :D And while I get an engagement ring is the ultimate goal of the show, I would prefer someone who was honest enough to say that I love you but I'm not ready to propose after a few weeks of dating under the world's eyes. Let's really get to know each other first. I mean there is reason so few of the "engaged" couples ever get married. Sorry to hear about the SPAM. So annoying. Do you have your email address posted on your blog? Sometimes removing it and using a contact form can help reduce SPAM. Bots search out name@emailaddress.com and SPAM addresses. We have the same issue with ice. Whenever we drop one we yell, "score!" (lame ice hockey reference) My mom's dogs used to LOVE ice - it was so funny to drop a cube & have one of them come running. I noticed the spam - on some of your posts I subscribed to the comments, so I got those emails too. So far my blog hasn't been hit, but yours is not the only one! I confess that I was the only person who felt nothing when I heard Anna & Chris split up. It's a bummer for them, but, I'm just not invested in celebrity couples. I also confess that I snuck some bites of ice cream last night while Mr. Sass was outside cooking dinner because I KNEW there was a super choice bite on the top of the carton and that he would get it all if I didn't first. He was none the wiser, and that bite was SO.GOOD. Just the right ratio of all the "stuff". I've had that spam thing happen to me in full force a few years ago. Every morning when I would wake up and check my phone I had like 70 emails that I got over night ( that were blog comments). It was ridiculous! I have since blocked all comments on older posts. I then changed it so I only have to moderate comments on posts that are older than 10 days old. This seems to be working. I hope you are able to find a new Garmin. For something simple I would sugggest the Forerunner 10. They are the older one so I can't imagine they are too expensive anymore. I did not watch this season of the bachelorette but I should have because my friend keeps telling me about it. She told me the whole thing about Rachel only wanting a proposal at the end. I thought Chris & Anna would last. that's so annoying about the spam. i had that happen and it took ages to delete them all. now i have comment monitoring on for posts older than 30 days and i rarely get them anymore. 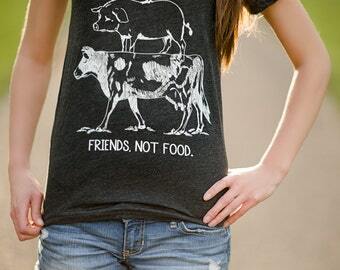 love your friends not food shirt! i actually saw John Cougar Mellencamp in concert in sydney lol. i knew like one song. i drop ice every time without fail as well. so, i'm not a big fan of anna faris or chris pratt as people exactly, but they were so like WE LOVE EACH OTHER SO MUCH that i am definitely shocked. i'm also kinda annoyed how everyone is blaming jennifer lawrence. people are nuts! I've been hearing that a lot about the bachelorette this week. And so sad about Anna and Chris, although I was more sad about Brad and Jennifer. Ohh no, so annoying about the blog comments! I have mine set for moderation if the post is over 2 weeks old, which seems to be helpful. Aren't some dreams so weird/random? I remember listening to jack & diane on repeat when I was younger, haha. Sorry about your hacking problem. Wow. I enjoyed your confessions but have nothing to add!! I am sad about Anna and Chris. I am also sad that Lindsay didn't pick Peter. I felt like she was a ring chaser on the last episode. Ugh. I hate the whole spam comments. I get them too. Dropping the ice cube... lately I have been dropping everything. Today at work (after dropping the lid to my yellow highlighter) I told my co-worker that it's happening numerous times a day. Her response? "Are you pregnant?" Hahahaha!! We had a good laugh over that one! Anna Ferris and Chris Pratt, oh my word! I didn't believe it when I read it the other day. :( They both grew up and went to high school not far from where I live so I've always felt like I knew them. (Why do we feel that way about celebrities?!) And there was one more... oh yeah! John Cougar Mellencamp!! That was hilarious! !